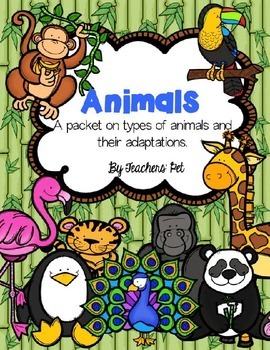 This is a 20 page animal unit that covers a variety of topics including physical and behavioral adaptations, camouflage, mimicry, instinct, learned behavior, hibernation, migration,consumer, decomposer, producer, predator, prey, carnivores, omnivores and herbivores. 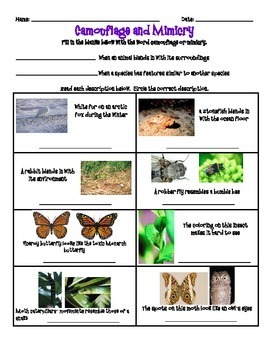 The unit includes vocabulary cards that can be used to play memory or glued to index cards for students to study. 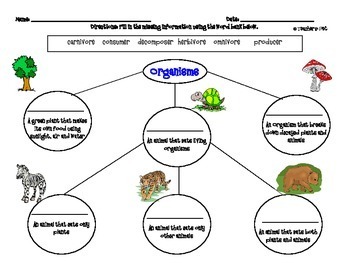 There are two graphic organizers one on the type of organisms and another on animal adaptations. 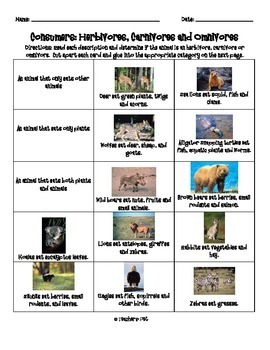 There are also several sorts, one on adaptations, the different types of consumers, distinguishing between instincts and learned behaviors and sorting between animals that hibernate and those that migrate. A "jeopardy like" review is included as well as a quiz.